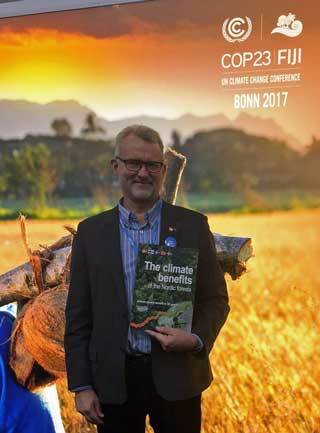 At the COP 23 very little of substance on forests was discussed at the main negotiations. The task of implementing the Paris Accord become an administrative debate on the REDD instrument. The issue was whether a special institutional arrangement was needed within the convention or not. No consensus was established. IFFA was represented by Lennart Ackzell. 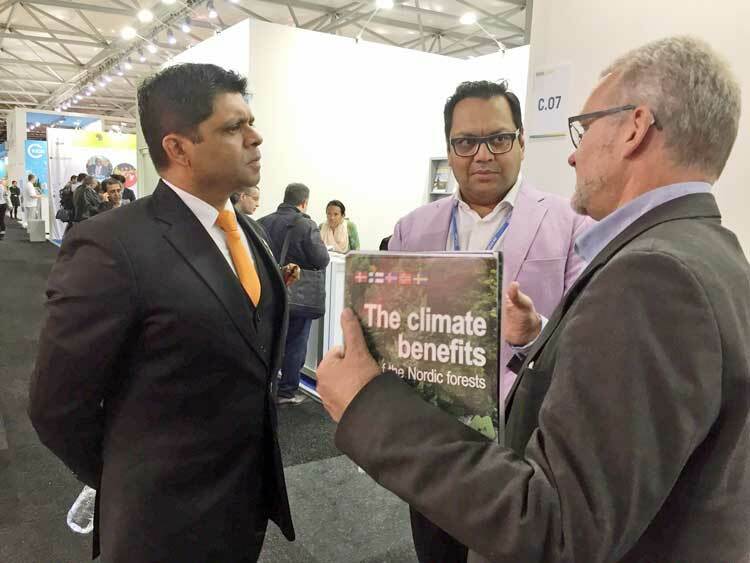 But IFFA got the opportunity to share its strong view on the forest benefits to climate change mitigation. At the Nordic Pavilion a brochure was presented and distributed. The main messages are that it is important to keep the forests in a growing phase and thus harvest and replace the mature trees for maximum uptake of CO2. Further to use the harvested wood for products that replace the use of fossil oil or gas to ultimately minimize the fossil use and dependency. Many interesting discussions followed as the one with the Minister of Economy from Fiji (the country that Chaired the COP 23). At the Nordic Pavilion a brochure was presented and distributed. The main messages are that it is important to keep the forests in a growing phase and thus harvest and replace the mature trees for maximum uptake of CO2.